Kingsnake.com - Herpforum - RE: Question for everyone.. I have kept sulcatas with lepoards and aldabras as there diet and needs are similar. 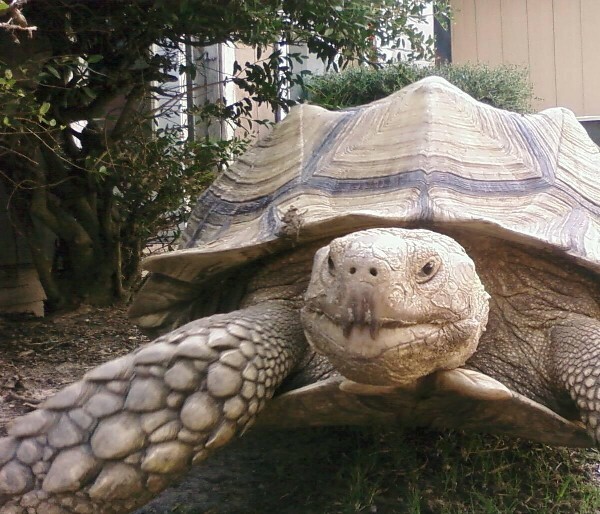 I would not recomend keeping one with any kind of tortoise that eats fruit or meat as this will transfer parisites to the sulcatas as they eat off of the ground alot. As the sulcatas get older watch for aggerssion some will be cool some will want to fight. The sulcata will also most likely grow much faster than the lepoard and there is a reason everybody names there sulcata "Tank". They can be very clumsy and kinda like a bull in a china shop at times so watch out for the others being ruffed up. Give them pleanty of room and that will help them avoid each other. Hope this helps!! !